So close but a world away. Vartiosaari feels like it’s somewhere deep in the countryside, where the natural landscape is still intact. 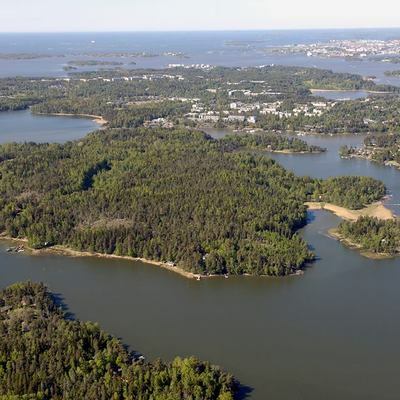 The island is located in the inner archipelago of Eastern Helsinki, in between Laajasalo and Tammisalo, 7 km as the crow flies East from the city centre. 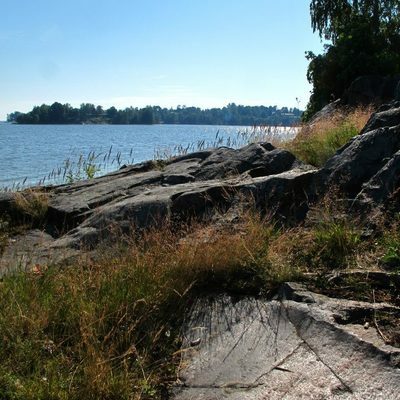 Vartiosaari, meaning ‘Guardian Island’, is a square kilometre of variable topography and a wide variety of habitats, enriched by their cultural significance. 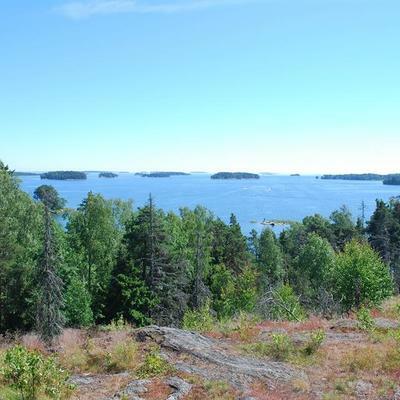 Home to valuable deciduous groves, traditional pastures as well as old-growth pine forest characteristic of rocky upland terrain, the island’s highest point opens out onto a scenic and far reaching view of Eastern Helsinki’s archipelago. The whole area is important habitat for bats and includes the only spot in Finland where the critically endangered plant petasites spurious (also known as ‘Wooly Butterbur’, or ‘Rantaruttojuuri ‘ in Finnish) has been found. Interesting geological features include large boulders, rocky remnants of the ancient shoreline and the Litorina sea. Over 50 villas, the oldest dating back to the late 19th century, form part of Vartiosaari’s cultural equity, some of which are privately owned and others which are used by a number of charities and associations. The island is classed by the National Board of Antiquities as a nationally valuable built cultural environment. SUMMER: In the summer a small ferry travels to the island from Hakaniemi. Please check Saaristokuljetus for operating times and schedules. You can even try your luck at hitchhiking from either jetty with one of the locals. Although the distance from Reposalmi jetty to Vartiosaari's guest jetty is less than 100 metres, swimming across is not recommended as the area is a boat lane. WINTER: In winter you can walk across the frozen sea, from the Tammisalo or Reposalmi jetties. Look out for marked routes in the ice (often supported by duckboards) and if in doubt about whether the ice will hold, don't cross! Let your breath be taken away by the stunning view from Viking Hill. Rent a kayak from Natura Viva and paddle to the island. Take a picnic. Vartiosaari Seura ry's alternative plan, developing Vartiosaari as a recreational island. 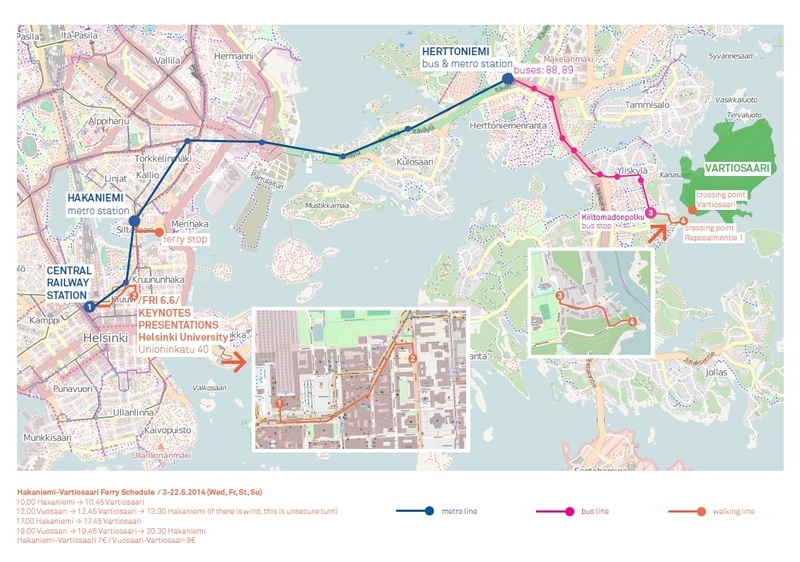 The planning principles for building up to 7000 new homes on Vartiosaari, which includes bridges, a tramline and service roads, were approved in December 2013. You can take a look by clicking on this link. The city planning department is now preparing the draft partial master plan which is due to go before the board this autumn. The next city planning meeting where Vartiosaari will be on the table is Tuesday 25.11.14. You can share your opinions on the plan, including any suggestions, by writing to or emailing the city registrar's office (remember to clearly state what your correspondence is regarding) or the contacts on here. The City is planning to have the new draft plan ready by Spring 2015, so don't leave it too late to get involved! To keep up to date, you can subscribe to the city's planning newsletter which will only contain information about Vartiosaari.